The disappearance of 14-year-old Amber Bailey sets off a two-year search during which her family will go through unimaginable pressures. As the days, months and years progress the mystery deepens and strange and terrifying clues come to light, raising yet more questions. The world becomes gripped by the mystery of the missing teen. Find out more about the show on the RTE Website. 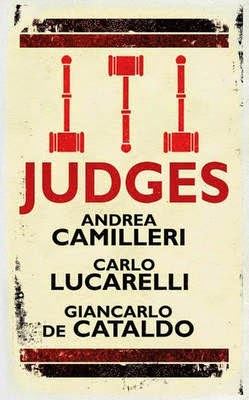 JUDGES is a collection of three short stories from three of Italy's top crime writers. The collection was first published in Italian in 2011 and in all three stories, the judge is fighting against a corrupt establishment. The first story is Andrea Camilleri's Judge Surra, which has been shortlisted for this year's CWA Short Story Dagger, and like his Montalbano series, is set in Sicily but around a hundred years earlier. This is an amusing tale of how the judge unwittingly brings down a mafia boss whilst discovering the local delicacy of cannoli pastries. The second story is Carlo Lucarelli's The Bambina, set in Bologna in 1980 at a time when judges needed protection from the police. The judge in this case is a young woman, nick-named Bambina who is assigned an older policeman. She's prosecuting a fraud case and doesn't think she requires a bodyguard however she is soon proved wrong and she finds a different way of meting out justice. The final story is Giancarlo De Cataldo's The Triple Dream of the Prosecutor, set in modern day and the main protagonist, Mandati, is a public prosecutor in a small town who is trying to bring down the mayor, a rival from childhood, and who has his fingers in all the financial pies. The mayor usually thwarts Mandati but will he this time? Each story covers a similar theme but are all very different in approach and time-frame and the high standard does make you wish that more of Lucarelli's and De Cataldo's books were available in English. 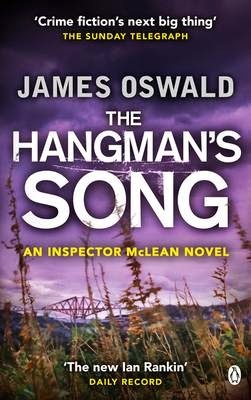 All three authors have recently had tv series shown in the UK: Montalbano, Inspector De Luca and Romanzo Criminale, so one can hope. More short stories from these three authors can be read in the excellent anthology, CRIMINI. The stories were translated respectively by Joseph Farrell, Alan Thawley and Eileen Horne. Here are nine reviews which have been added to the Euro Crime website today, one has appeared on the blog over the last couple of weeks and eight are completely new. 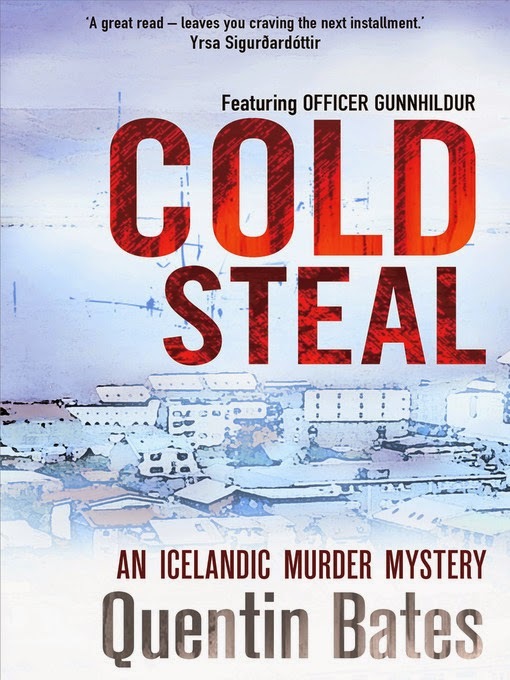 Since the last set of reviews, we've announced the winner of the Petrona Award 2014; I've been at CrimeFest and you can see my notes on twitter @eurocrime or on #crimefest14, and there's been lots of tv news. 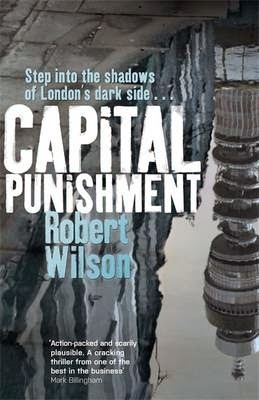 and Terry also reviews Capital Punishment by Robert Wilson, which is the first in the Charlie Boxer series and is also now out in paperback. Dublin, in the late autumn of 1956. City pathologist Quirke - we never get to know his Christian name - stumbles late one night from a party in the nurses' quarters with a view to sleeping off his hangover in his subterranean pathology lab. To his surprise his quiet refuge has been invaded by his adoptive brother, obstetric consultant Malachy Griffin, who is at Quirke's desk completing some paperwork for a recently deceased patient named Christine Falls. 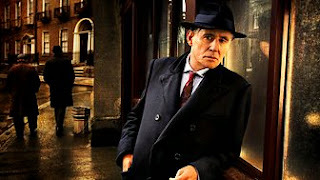 When Quirke returns next morning to find Christine's body gone, he remembers his brother's odd behaviour, and, consumed by curiosity over what Mal was doing, recalls the body and performs a full post mortem. 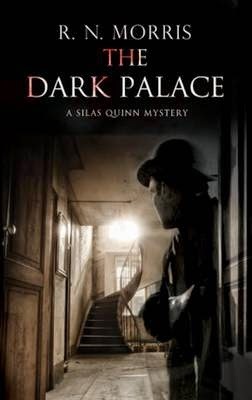 As he investigates, all the time stirring up a hornets' nest of trouble for himself, Quirke uncovers the truth about a family secret that has remained buried for nearly twenty years, and begins to understand that there are some truths that may be better left untold. Quirke has been shown in Ireland in February, on RTÉ One and will be available on DVD from 9 June 2014. I'm very pleased to repeat the news that Sarah Ward has a publishing deal with Faber. 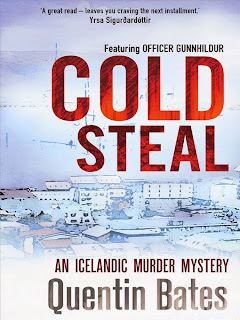 Sarah is a friend of mine and many crime fiction fans, a Petrona Award judge and owner of the blog Crimepieces. She revealed the news of her publishing deal at CrimeFest and the the official news is now out. Faber and Faber have acquired two novels from debut UK author Sarah Ward. 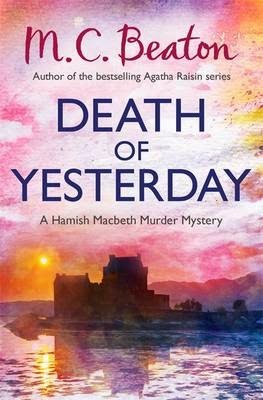 Crime Editor Katherine Armstrong bought World rights from Kirsty McLachlan at David Godwin Associates for IN BITTER CHILL and an as yet unnamed second book. 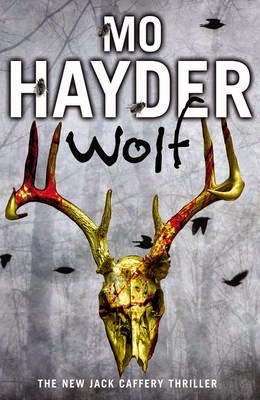 Faber will publish IN BITTER CHILL into trade paperback and eBook formats in summer 2015. 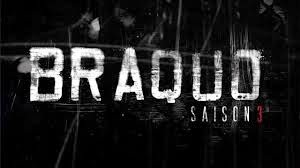 Created by former policeman Oliver Marchal, this French import is dark, compelling and gritty, and stars Jean-Hugues Anglade, Nicolas Duvauchelle and Joseph Malerba. 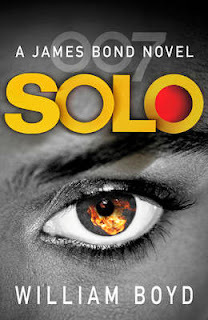 The series follows a team of Parisian cops who blur the lines of the law to get the job done. Full of intense interrogations and grisly violence, this is certainly not for the faint-hearted! Last season, the team were thrown into a world of danger as they went from being the hunters to the hunted. Caught up in the crossfire of a gang war, they faced a long and arduous road to redemption. Now Théo is lingering between life and death after the explosion of his car and Roxane, utterly crushed, watches over him night and day. Meanwhile, Caplan and Morlighem pay a visit to Vogel’s place with vengeance on their minds. Despite a desperate thirst for revenge and recognition alike, these rogue cops still have a job to do. And the winner is Leif GW Persson for Linda, as in the Linda Murder translated by Neil Smith (who also translated last year's winner, Last Will by Liza Marklund). 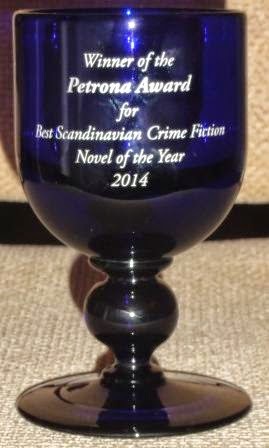 As well as this beautiful trophy, Leif Persson will also receive a cheque for £200 and should he wish to take it up, a pass and panel at next year's CrimeFest. 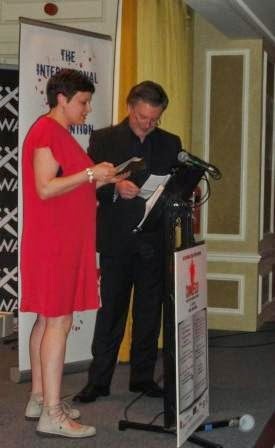 More about the books on the shortlist and the judges' comments can be found on the CWA website. Tomorrow CrimeFest begins and all being well I'll be there and tweeting/writing up panels. On Friday, the shortlist for several CWA Awards will be announced including the International Dagger. For the first time in several years, this list will be a complete surprise to me as I'm no longer a judge. I'd love to hear what other people think will be on the shortlist. My usual Eligibles list is here. 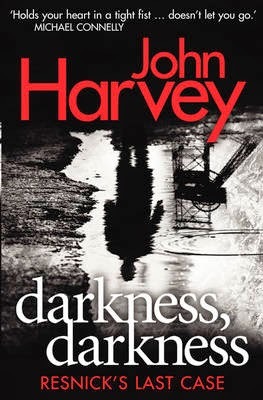 Audible.co.ukThe Audible Sounds of Crime Award recognises the best crime audiobook published in both print and audio in 2013. Courtesy of sponsor Audible UK, Britain's largest provider of downloadable audiobooks, the winning author and audiobook reader share the £1,000 prize equally and each receives a commemorative Bristol Blue Glass vase. Audible UK listeners establish the shortlist and the winning title. The eDunnit Award is for the best crime fiction ebook first published in both hardcopy and in electronic format in the British Isles in 2013. The winning author receives a cash prize as well as a commemorative Bristol Blue Glass vase. 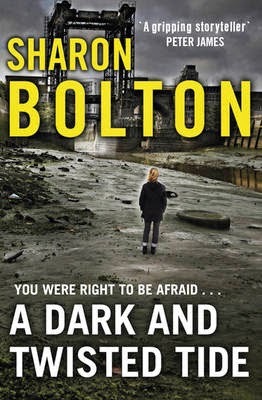 A team of British crime fiction reviewers vote to establish the shortlist and the winning title. Audible.co.ukThe Goldsboro Last Laugh Award is for the best humorous crime novel first published in the British Isles in 2013. The £500 prize is sponsored by Goldsboro Books, the UK's largest specialist in first edition, signed books. The winner also receives a Bristol Blue Glass vase. A team of British crime fiction reviewers vote to establish the shortlist and the winning title. The third and final series of the Swedish Wallander starring Krister Henriksson begins on BBC Four on 17 May at 9pm. 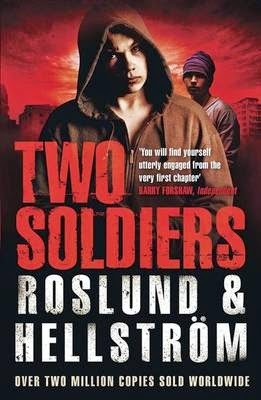 Attending a family meal at the home of his daughter Linda, Kurt Wallander is intrigued when Hakan von Enke, his son-in-law's father and a retired naval commander, is called away by an urgent phone call. It soon becomes clear that the call is related to the recovery of a body from the waters of the Stockholm archipelago - the same waters where, at the height of the Cold War, depth charges were exploded in an attempt to raise a submarine which had strayed into Swedish territorial waters. When Hakan goes missing, Wallander's investigations uncover a complicated international espionage. After over a year of rumours and speculation, RadioTimes.com can exclusively reveal that David Tennant and Olivia Colman will both be returning for the second series of Broadchurch. The pair – who played crime-solving duo DI Alec Hardy and DS Ellie Miller – will be joined by Jodie Whittaker and Andrew Buchan who portrayed parents of the murdered schoolboy Danny Latimer, as well as Arthur Darvill who will reprise his role as Reverend Paul Coates. But while the return of the local police force and Latimer family all but confirms the action will remain in Broadchurch, writer Chris Chibnall and his team are keeping silent on what will unfold when the second series hits screens. "We're delighted Broadchurch is back in production, but we're remaining tight-lipped about how the story develops," said ITV's director of drama, Steve November. "Suffice to say Chris has delivered as always and the scripts are just as exciting as the first series." Read the whole article here. NB It contain major spoilers for series one of Broadchurch. Vikings begins tomorrow night (13th) at 10pm on The History Channel. VIKINGS will chart Ragnar Lothbrok's ambitions to discover civilisations across the great ocean to the west as well as his inevitable conflicts along the way, especially with Earl Haraldson (Gabriel Byrne). With the help of his jester friend Floki, (Gustaf Skarsgard, The Way Back), they build a new generation of boats -- faster, sleeker and more beautifully crafted than anything else on the sea. The series will also delve into how the Vikings -- the last pagans -- worshipped ancient gods like Odin, Thor, Freya and Loki. Ragnar claims to be a direct descendant of the Norse god Odin, who, as well as being the god of warriors slain in battle, is also the god of curiosity. Vikings has already been renewed for a second and third season. Here are six reviews which have been added to the Euro Crime website today, two have appeared on the blog over the last couple of weeks and four are completely new. and Lynn Harvey reviews Lineup tr. Sara Kitai by Liad Shoham, Israel's top crime writer. 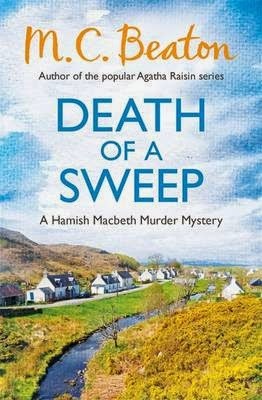 A new Scot is on the block to take on the old guard, Malcolm Mackay is one of two debut authors to feature on the longlist with The Necessary Death of Lewis Winter. The first in a trilogy, it’s been praised as an intriguingly odd, remarkably original debut. 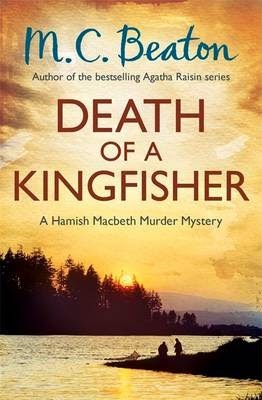 Previous winners of the Theakstons Old Peculier Crime Novel of the Year award include Denise Mina, Lee Child, RJ Ellory, Val McDermid, Allan Guthrie, Stef Penney and Mark Billingham. 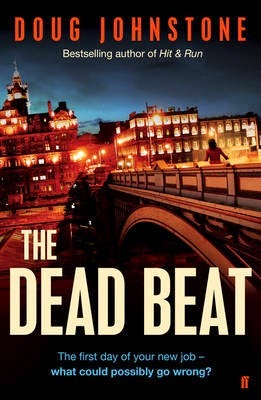 The winner of the prize will be announced by title sponsor Simon Theakston at an award ceremony hosted by broadcaster and Festival regular Mark Lawson on 17 July on the opening night of the 12th annual Theakstons Old Peculier Crime Writing Festival in Harrogate. The winner will receive a £3,000 cash prize, as well as a handmade, engraved beer barrel provided by Theakstons Old Peculier. Just when you think an author can't possibly get any better – he does. I love this book! It stands head and shoulders above Johnstone's earlier work and I am rapidly running out of superlatives to describe him with. 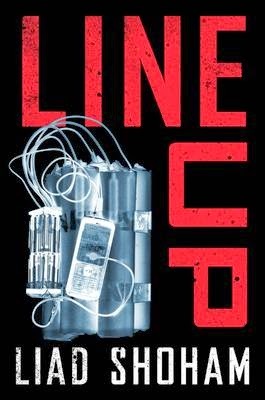 Everything about novel, from the eye-catching front cover, to the intriguing first sentence, to the steady stream of awesome music that runs through it, has you drawn in and focused. You can’t escape from the world that Johnstone has crafted. Not that you would want to. Martha has a new job. She is student journalist and has managed to get some work experience on her Dad's old paper. Except people don't know her Dad is her Dad and, as he killed himself two weeks ago, they won't be working together. Martha is set to work on the obituary column and even before she has a chance to settle in the phone rings. The caller is highly distressed and shoots himself while talking to her. Not a good way to start your new job. What else could go wrong? 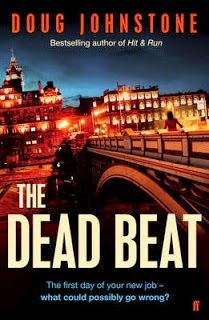 THE DEAD BEAT follows Martha's progress over the next few days as she struggles to deal with her experiences in the present as well as come to terms with her past. One of the many reasons I love Johnstone's work is the way he messes with your head. True to form, this one does not disappoint and I imagine it will be quite a while before I am able to return to crossing North Bridge in my usual, casual manner. If you like a story that keeps coming back to you, long after you have found it a place on your bookshelf, then you are going to love this book. A dreadful murder happened fourteen years ago that has left its mark on the Anchor-Ferrers family. Hugo Frink, just seventeen-years-old, had been out late with his girlfriend Sophia in the local woods, when they were attacked and killed in a horrific way. Lucia, the daughter of Oliver and Matilda Anchor-Ferrers, and just fifteen at the time, had been dating Hugo until they had split up just a week before he was murdered, and the family has never really quite recovered from the shock of it all. The murderer, Minnet Kable, was captured and locked up. 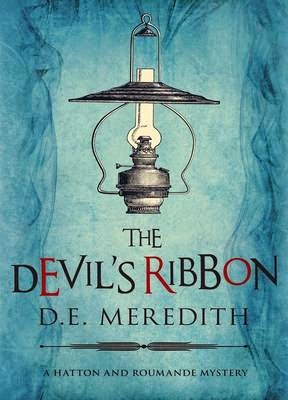 But when Oliver, Matilda and Lucia, and their dog Bear, arrive at their out-of-the way country house, somewhere in the Somerset Mendips, they discover something strung up in the trees in their garden that brings back the murder of Hugo to the fore. Has Minnet been released? Is he now exacting some sort of psychopathic revenge? Oliver, who has just had an operation on his heart, and his wife are worried, but they can’t ring the police to ask them to investigate as the landline isn’t working. Knowing that they can’t get a mobile signal unless they go to the bottom of the drive, they decide to barricade themselves in the house. 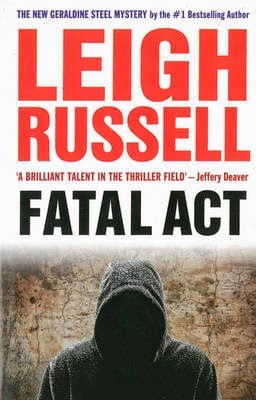 Soon afterwards two police officers turn up, ostensibly to ask about the murder of a woman in a nearby cottage, and to ask the family if they’ve seen anything. The family take the opportunity to show the two policemen what they’ve found. However, the policemen are imposters. Once they’ve earned the trust of the family, they tie them up, and rob them. But that’s only the beginning of the nightmare. 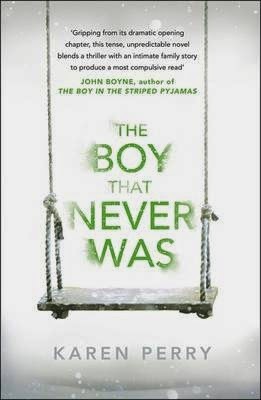 Meanwhile Detective Inspector Jack Caffery is still concerned with the disappearance of his slightly older brother Ewan, when he was eight, and his brother just nine-years-old. He has just heard that someone connected to the case, Tracey Lamb, has recently died in Holloway prison. She was his last hope in solving the case and finding Ewan. But, she has left a will, and it seems to reveal a final clue. To find out more, he needs to talk to a current prisoner, but to do that he has to make a deal with the character called the ‘Walking man’. However, the Walking man will only help if Jack finds the true owners of a lost dog called Bear, that the Walking man is looking after. Those of you who have read the Hayder books before will recognize the Walking man as someone who lost someone precious to him, and has taken to walking the countryside in the hope of one day finding out what happened. Here, the Walking man’s instinct that someone else is in trouble, prompts him to engage Jack’s help in exchange for helping Jack discover what happened to Ewan. 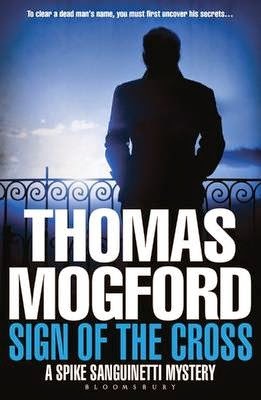 The story of the Anchor-Ferrers gradually builds up alongside Jack’s search for clues about his brother, and the links between the two story lines gradually become clear. 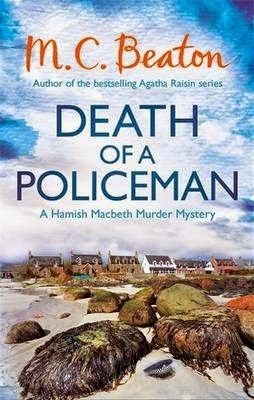 Jack works on his own, almost going ‘absent without leave’ from the police force, to solve both mysteries. No-one has reported the Anchor-Ferrers as missing or in trouble, and as the situation deteriorates, the urgency for someone to discover them rises, nicely driving the plot forward. A kind of reckoning of sorts for Jack, and, through their own story, for the Anchor-Ferrers as well, with shocking and disturbing denouements for both. Mo Hayder’s books featuring Jack Caffery are always an entertaining and engaging read, and this one doesn’t disappoint.